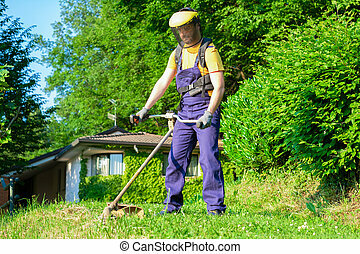 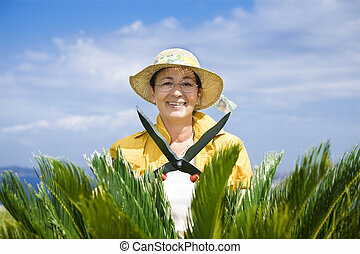 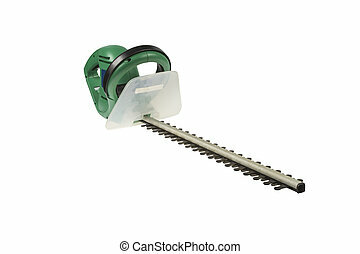 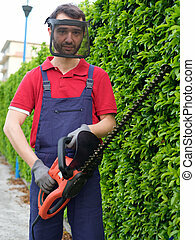 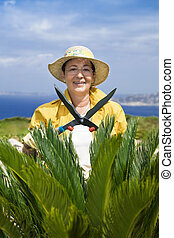 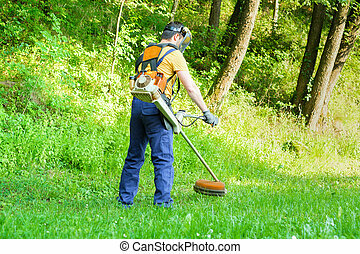 Hedge clippers. 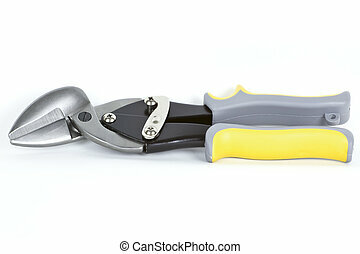 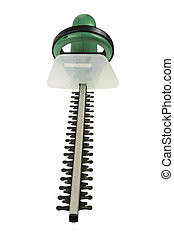 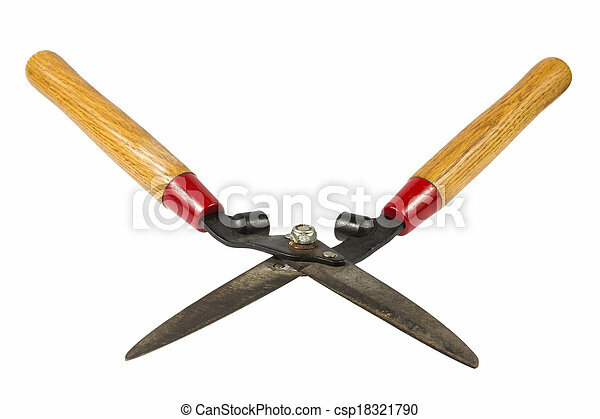 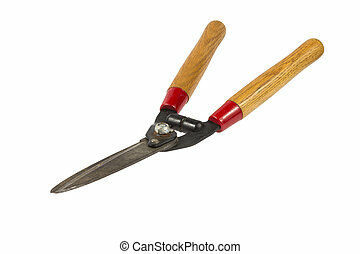 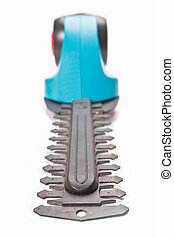 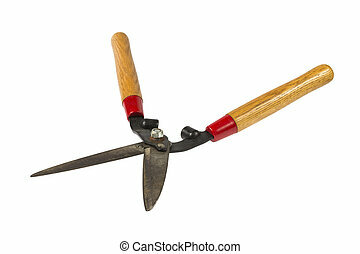 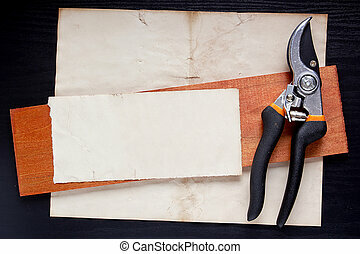 Used manual hedge clippers with black blades and wooden handles isolated on white background. 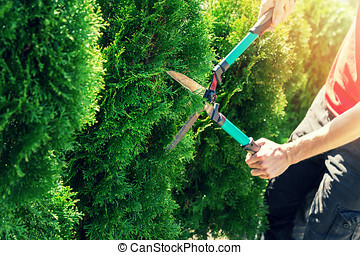 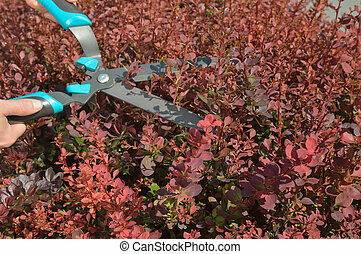 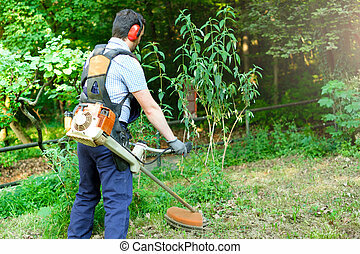 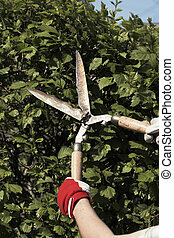 Manual trimming shrubbery of red Berberis by hedge clippers or secateurs. 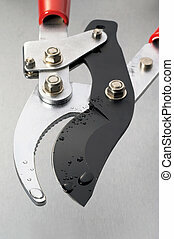 Clippers on the paper as a background for an industrial design.